One of my online (and offline) besties is having a new baby! Congratulations, SRB (and BJB and HGB)! Because you already have so much stuff (and you don’t need more stuff accumulating in your house – because then it’s just more stuff to pack when you move) – I went small on your gift for now. This little gadget has saved our lives 10,000 times. My sister gave me one and I was totally grossed out thinking, “No way in hell will I put that thing in my mouth.” Well – then Matthew got sick when he was teeny tiny and we’ve used this awesome thing ever since. If you already have one, you can use another (I’ll tell you the mold story about mine when I see you). If you don’t have one – you need one! I will tell you what my sister told me: “I promise that you will not get snot in your mouth,” (unless, of course, you’re like B and forget to ensure the filter is in place!). Part of “the later gift” is the same type of thing (but unique) for HGB! 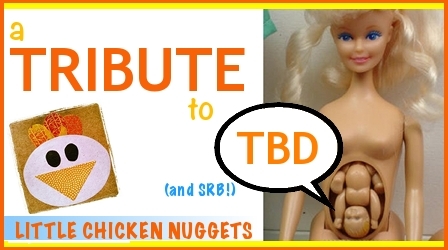 I wish you the best of luck in the next few months as you get ready for TBD’s arrival! I am so looking forward to meeting him! Love to you, Good Friend! I LOVE the NoseFrida, but Mira HATES it. Sigh. Also, don’t ever put it in the microwave. Double sigh. 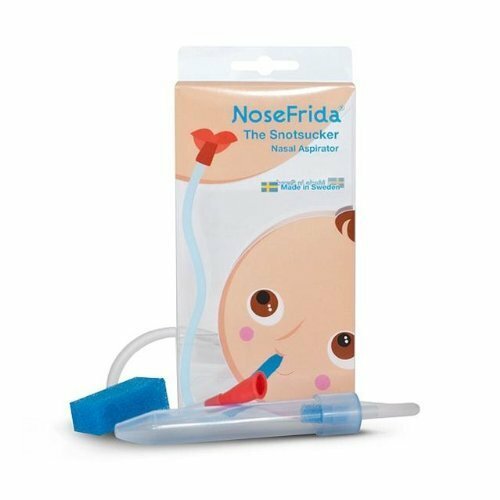 the NoseFrida is the best invention EVER. I’m glad you told me not to microwave it – I would have considered tossing it in the steam bag I used for breast pump parts. THANK YOU! The Nose Frida is both horrifying and amazing. It sure came in handy IMMEDIATELY during the Zombie Apocalypse. Perfect timing! I may or may not have used it on myself yesterday. 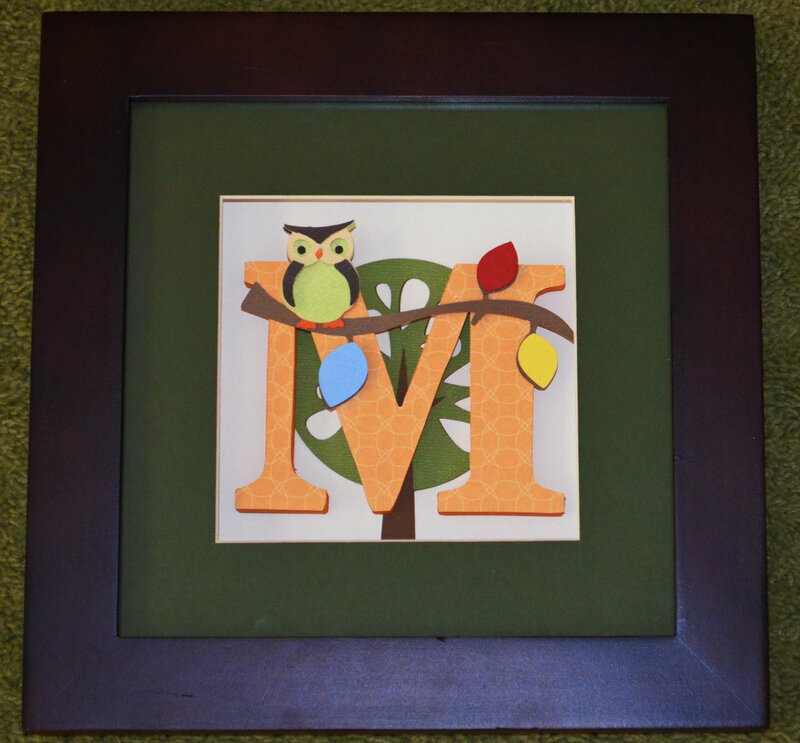 And having seen what you and your lil sis can do with these letters… I AM SO EXCITED! I think for TBD, because his (SECRET!) 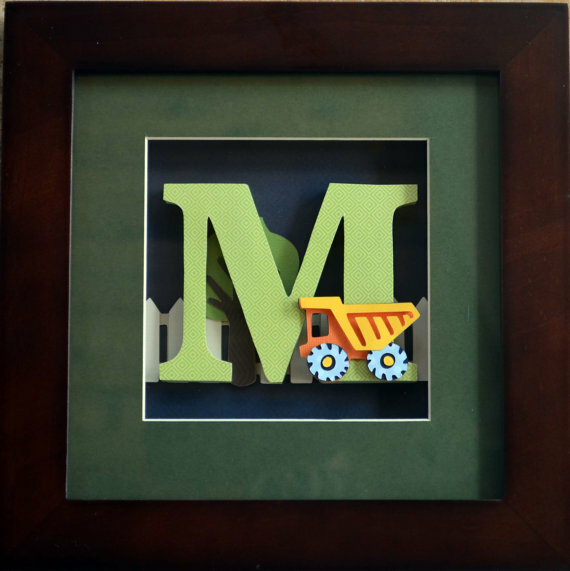 name will be longer than HGB’s, I like the framed letter! I really like the depth and detail. The examples above are just TOO CUTE. This is just so thoughtful and hand-crafted to boot. LOVE IT. And now, for the mushy part… oh, woman. We found each other at the exact right moment, AMIRITE? Back when our only followers were each other? HA! Discovering that we are, in fact, the exact same person led to a fast friendship that I wouldn’t trade for anything. I truly cherish our HOURS on Skype, all the emails, all the comments, all the support, all the venting… all of it! Spending the weekend with you and your family was so amazing and natural – I feel like I have known you for years! And that is kind of what this community is all about… filtering out all the BS and just getting down to it. Kind of like you and me! YAY!